NVIDIA has officially launched their latest GeForce 378.78 WHQL Game Ready drivers that deliver a big boost to several DirectX 12 titles. 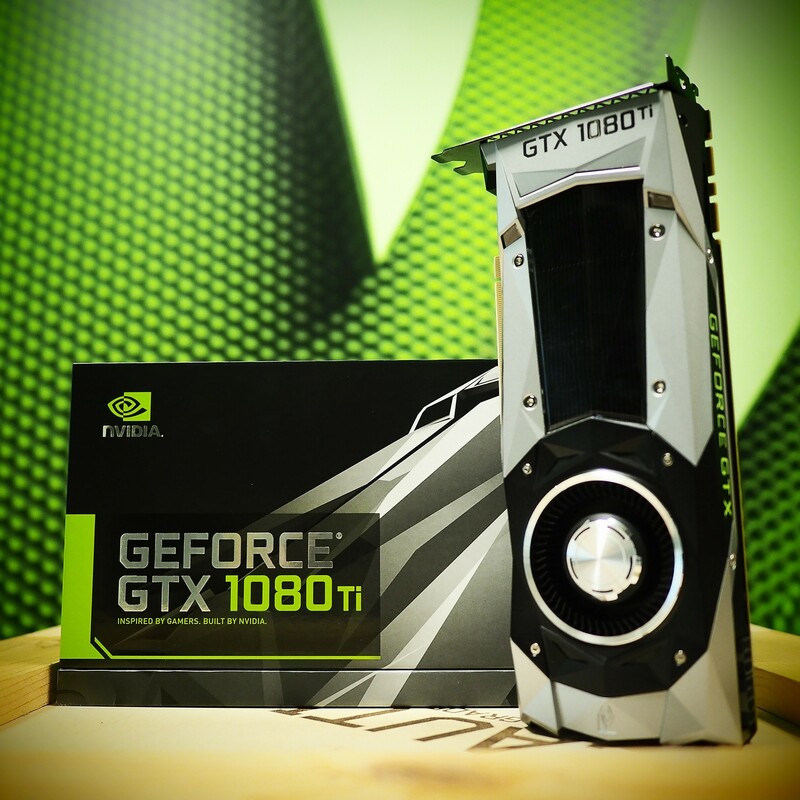 The new drivers are available for download for NVIDIA graphics cards dating back to the GeForce 400 series. The latest GeForce driver optimization is the result of 500 engineering years of work, says NVIDIA. Their team has worked hard to deliver the most comprehensive platform for developing DirectX 12 games. 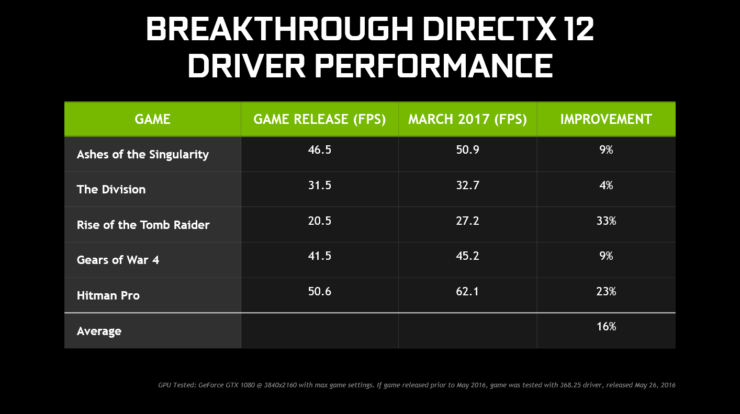 Today, the new Game Ready drivers introduce a raft of DirectX 12 optimizations that improve performance in Gears of War 4, Hitman, Rise of the Tomb Raider, The Division, and other games. As a result, performance has increased by 33% in Rise of the Tomb Raider, 23% in Hitman, and by an average of 16% across the five most popular DirectX 12 titles. Game Ready drivers not only deliver the best out of the box game experience for the biggest AAA PC games, but they also continue to improve their performance over time with new optimizations and improvements released via new Game Ready drivers. Furthermore, NVIDIA has worked tirelessly to optimize APIs, and work closely with developers to create and integrate app-side optimizations. 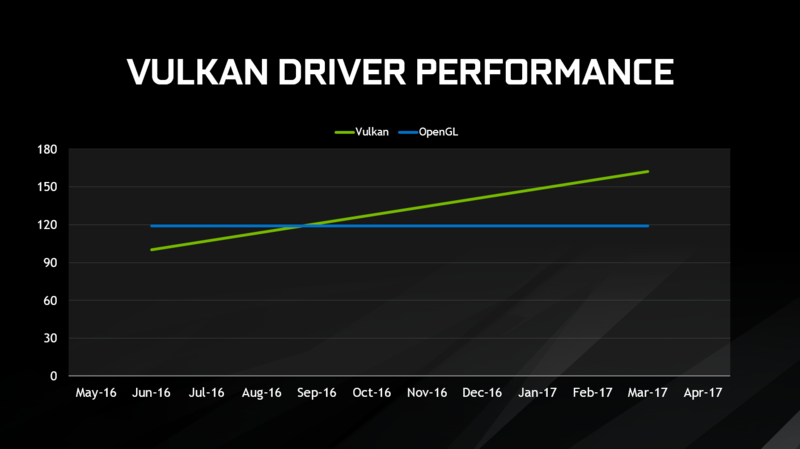 NVIDIA is also working on boosting performance of titles that utilize the Vulkan API. Their latest drivers provide a vast increase over the ones released last year. NVIDIA’s GeForce 378.78 WHQL also act as the launch drivers of their latest GeForce GTX 1080 Ti card. The new flagship is the fastest graphics card developed for enthusiasts and gamers around the globe. We covered the review roundup of this impressive product here which will be available tomorrow. It should also be noted that the driver is fully optimized for Ubisoft’s AAA title, Tom Clancy’s Ghost Recon Wildlands which is a hit over at Steam. To play Tom Clancy’s Ghost Recon Wildlands on PC, Ubisoft and NVIDIA recommend the GeForce GTX 1060 for an excellent high-quality experience at 1920×1080, the most popular gaming resolution. For higher detail levels, resolutions and framerates, NVIDIA recommends the GeForce GTX 1070, GeForce GTX 1080, and GeForce GTX 1080 Ti. For those of you buying a new graphics card, the latest GeForce cards come bundled with your choice of game. These include Ghost Recon Wildlands and For Honor.